Swim, surf and sunbathe at the beach. There are more than 80 incredibly beautiful beaches on Maui and 120 miles of coastline. The beaches come in sands of gold, black, green, red and pure, shimmering white. And while you're at it, grab a snorkel and mask and commune with turtles and many species of fish. The waters of Makena/La Perouse are ideal for snorkeling, especially early in the morning and when there is no ocean swell. 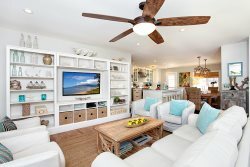 All of our Maui Gold Condos Exclusive units include snorkel gear, or you can rent some from one of several shops nearby. Our Exclusive units also come with Boogie boards for trying out the waves. Stand-up paddling is a new craze, and the perfect introduction to watersports for people of all ages/fitness levels. There are several companies in Kihei that rent surf and stand-up paddle boards and do lessons. We recommend the Maria Souza Stand Up Paddle School. There are often spectacular sunsets, with prime viewing from the beach nightly. Watch for the legendary "green flash" just as the sun slips below the horizon! 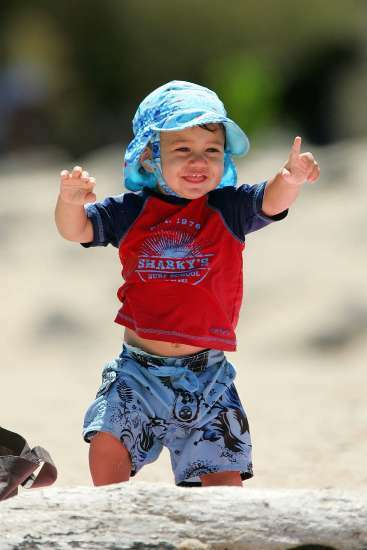 Our area beaches include family-friendly Kamaole I, Kamaole II, and Kamaole III Beach Parks. All have lifeguards on duty from 8am-4pm. Separating each beach there are lava rock outcroppings that provide good beginner snorkeling spots when the water is calm. Keawakapu Beach, the last South Kihei beach that extends into Wailea, is also a nice beach (no lifeguards), popular with families. Big Beach in Makena, a State Park, has new county lifeguard service as of May 2009. 1. Polo Beach in Wailea. Park at the public parking lot after the Fairmont Kea Lani Hotel and go down the path to the beach and then cross over to the left (in front of the Polo Beach Club condominium complex). This beach is popular and not very big, so it can get crowded, especially in the winter high season. Bring your Boogie boards! 2. Po'olenalena in Makena. A great secluded beach, popular with locals and fisherman. Park at the public parking lot and walk across the path to the right (in front of a large private home, so stay on the path)- this large beach to the North of Po'olenalena is usually uncrowded and very private. 3. Ulua Beach in Wailea, park in the public parking lot. There are showers and bathrooms and this is a great kid-friendly beach and beginner snorkeling/scuba diving location. 4. Secret Beach/Makena Cove. It's not really a secret any longer, and this tiny beach's popularity as an afternoon/sunset wedding beach is unparalleled, so the best time to visit is earlier in the day. Just South of Makena, shortly after the second Big Beach parking lot entrance, watch for a 10-foot-high lava rock wall on your right and a lunch/snack wagon (usually) on your left. There's a 5-foot gap in the stone wall and a blue shoreline access sign partially hidden in the brush. Pull to the side and stop here. There is a nice semi-flat spot for picnics out on the rocky outcropping on the left side of the beach (also popular for wedding photos). 5. Kaanapali Beach. There is good snorkeling at Black Rock on the North end of Kaanapali Beach where the Sheraton Maui is located. Stay close to the rocky outcropping to view the most fishes. The beach itself, while very nice, is usually very crowded. You can walk to the Whaler's Village shops and restaurants. The Hula Grill has great food and the outdoor Barefoot Bar menu is less expensive and fun (sand flooring). 6. Baby Beach in Lahaina. The name says it all. This beach with calm, sandy, shallow waters, is a great beach for families with little ones. All the Lahaina shops and restaurants are a few blocks away, so you can take a break and stop in town for a shave ice or ice cream when you get too hot. There's not a lot of parking available. 7. Kapalua Beach. Directly in front of the Kapalua Bay Hotel, this white sand crescent-shaped beach is often very crowded, but was voted the best beach in America by Dr. Beach, Stephen Leatherman, in 1991, the first year he started his popular annual ratings. Visit nostalgic plantation towns like Paia and Makawao, tour the historic preservation district of Lahaina, former capital of Hawaii and bustling whaling port of the 1800s, see the biggest Buddha outside of Asia, stop at old Hawaiian churches, or visit a museum dedicated to Maui's whaling history. Walk through an aquarium and watch the fish swim around and above you (the Maui Ocean Center in Maalaea), or marvel at the beauty of Iao Needle and the West Maui Mountains. 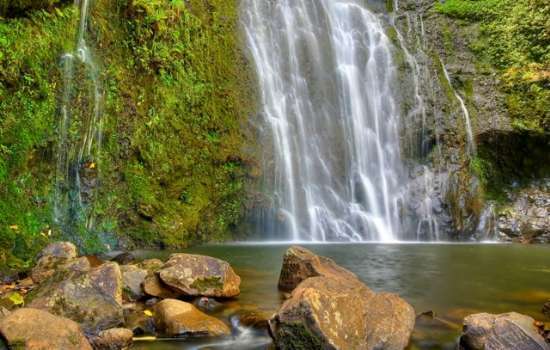 Drive to the pools of Oheo Gulch, under the canopy of giant redwood trees in Olinda, or wander through the bamboo forest on the way to picturesque Hana. The choices are endless. One of the world's most scenic drives is located on Maui - the Hana Highway - with 54 bridges in 56 miles along a winding lava shore, through the old plantation town of Paia, past miles of beaches and through towering forests. Allow yourself an entire day for this drive and try to get an early start. Bring your camera for all the bridges and sights. There is a black sand beach and the "Seven Sacred Pools". A drive to the summit of Haleakala is also a must. Haleakala crater appears like the surface of an alien planet and the views of Maui from the summit are amazing. Catch a sunrise and you may be able to see several islands from the summit if you're lucky (dont forget to bring lots of warm clothes as it can be in the 40s or colder and windy up there). Ulupalakua is home to fields of lavendar, and also the Tedeschi Winery where you can sample local-made wine and sparkling wines made from locally grown pineapple and grapes. Maui is Hawaii's dining epicenter, with a restaurant for every taste. Maui has attracted enthusiastic chefs who make national headlines using fresh local produce from Upcountry farmers. From lavish hotel dining rooms to lunch counters serving plate lunches, Maui's eateries are pleasing and diverse. Chinese, Japanese, Thai, Vietnamese, Italian and Mexican are among the specialty restaurants. The pride of the island, Hawaii Regional Cuisine, is served at many award-winning restaurants, including Roy's. Several hotels stage beachside luaus featuring Hawaiian foods such as kalua pig, cooked traditional-style, in an underground oven, poi and haupia (coconut pudding), along with a buffet of more familiar foods. There is lots of Hawaiian music, hula, and even spectacular fire dancing. In Lahaina, on a specially built, open-air luau grounds next to the ocean, the Old Lahaina Luau is one of the finest luaus in the world, offering excellent Hawaiian food and entertainment in an unparalleled setting. We also recommend the ones closer to home at the Wailea Marriott or Maui Prince Hotel in Makena. Closer to home, we personally recommend "Da Kitchen" in the Rainbow Mall in Kihei, a few blocks from most of our condos (walking distance for our lucky Maui Banyan guests), a small locally owned and run plate lunch establishment with huge portions of absolutely delicious and authentic local food. Arrive hungry! We like the "Chicken Katsu" (Panko crusted and deep-fried) and "Tempura Mahimahi" (also deep-fried). Just above Da Kitchen is "Cafe O Lei", another restaurant we recommend.Their lunch menu is particularly fabulous and very inexpensive. Everything on the menu is great (their Caesar dressing is the best!) and they have a nice selection of desserts, too. Stella Blue's in Kihei is a popular breakfast place with a wide variety of menu items at very affordable prices. They serve breakfast until the afternoon on weekends. For fine dining ($$$$) we recommend Mama's Fish House in Kuau, located on a picturesque coconut-fringed sandy beach in a residential neighborhood about 10 minutes from the airport. Plan ahead and make reservations as they are not usually able to accommodate walk-in diners. Sansei in Kihei (at the Foodland Shopping Center) is a fun sushi/Japanese restaurant with 50% off menu items (and karaoke) after 10pm on the weekends. Try the "Dynamite Shrimp"- it's addictive. If you like sushi, go for the "Rainbow Roll", "Caterpillar Roll", or "Butterfry". If you don't mind deep-fried greasy food, try their vegetable tempura, it's heavenly. Paia is home to the Paia Fishmarket, which is a must-have on Maui! Great fresh fish burgers or plates served with homemade dill coleslaw and great fries in a casual setting! Order at the counter and eat at the picnic tables inside. We have annual guests who always stop there first, straight from the airport, before even going to their condos! After lunch or dinner at the Fishmarket, walk across the street to Ono Gelato, another one of our local favorites! The owner is a third generation gelato maker, and it shows! They use local and organic ingredients when possible, and the flavors are all fresh and unique. Our favorites are the chocolate, simple and not too sweet, stracciatella (vanilla with chocolate chunks) and the raspberry. Gelato has a lower fat than ice cream and the fruit flavors are similar to a fluffy fresh sorbet. Walk into a rainforest echoing with the songs of birds found nowhere else on the planet, or follow trails to waterfalls with plunge pools for swimming, and walks into valleys so deep they never see a sunrise or a sunset. The Haleakala Crater has amazing trails resembling a dramatic lunar landscape. About 15 minutes from the airport, Iao Valley has an easy path to view the Iao Needle, perfect for families with young ones or people wanting to explore nature without an arduous hike. There are trails and nature walks for every level of skill on Maui. We highly recommend the "Maui Revealed" guidebook, available at Costco near the airport or at the Maui Gold Conds Wailea office (we also have copies you can borrow). This useful book isn't fancy, doesn't have huge glossy images, but it does reveal, as the name implies, many of the best places on Maui for hiking, snorkeling, dining, beach activities, etc. Maui has no shortage of galleries, international shops, designer boutiques and shopping malls. Many shops carry Maui specialty items and products unique to Hawaii (like Martin and MacArthur at the Shops at Wailea). These include hand-turned bowls and objects of beautiful native woods; hats woven of lauhala; hand painted resort fashions; and one-of-a-kind jewelry, glass work, and art. Lahaina is a shopper's paradise. There is also a weekly swap meet in Kahului (Saturday mornings at the Maui Community College) and numerous other craft fairs and farmer's markets across the island. The Shops at Wailea offer fantastic designer boutiques like Gucci, Tiffany, and Louis Vuitton mixed in with trendy surf boutiques such as Billabong, Quiksilver, and Maui's own Honulua Surf Company, as well as several dining options like Ruth's Chris Steak House and the famous Longhi's as well as the Tommy Bahama restaurant and Cheeseburger in Paradise. From November through April, Maui welcomes home our humpback whales - Hawaii's largest seasonal visitors. About 1000 of these amazing creatures come to the warm waters of Hawaii annually to mate and give birth after a 1-2 month long 3,500 mile journey from their summer feeding grounds. Humpbacks eat half a ton of food a day (but nothing at all during their stays in Hawaii) and researchers believe humpbacks live for 40-60 years. Calves are born at 3000 pounds and drink more than 1000 gallons of milk each day! Maui's south and west coastlines provide abundant opportunities for watching this endangered species, and various companies offer whale watching excursions. We usually recommend the Pacific Whale Foundation, although they are so popular that you can get a cattle-herd feel sometimes. The Trilogy boat also offers great whale watching tours. The Maui Ocean Center in Maalaea is also a wonderful place to learn more about these gentle giants as well as many other marine creatures. Many of our Maui condos provide the opportunity for whale watching from your own patio. There are many Molokini snorkel boat tours- they are a very popular option and generally leave out of Maalaea Harbor (fishing charter boats leave from Lahaina or Maalaea). We usually suggest that guests take the morning trips unless the forecast says there will be no wind, otherwise the afternoon trips can be very rough and unpleasant (that's the reason they are usually much cheaper!). *Snorkeling tips: Keep in mind that the fish are never out in the sandy areas- they are always along the rocky outcroppings(or in reef areas like Ahihi Bay or Olowalu). Don't bother going out if there are waves as this usually makes the water murky and visibility poor (and creates a dangerous environment for entereing and exiting the water). 1. Kamaole Parks 1, 2 & 3: Good beginner spot for those just starting out with showers, bathrooms, and lifeguards. Just snorkel around the rocky points at the ends of each beach to see the fishes. Only enter the water when calm. The easiest place to start off snorkeling if you're staying at our Royal Mauian, Maui Banyan, Kamaole Sands, or Maui Kamaole condos. 2. Mana Kai condos/Keawakapu Beach: Nice entry through sandy Keawakapu beach to the left. Just snorkel along the rocks on the right. Right in front of the Mana Kai on South Kihei Road, a short walk along the beach from our Hale Hui Kai condos. 3. Ulua & Mokapu Beaches: Just enter in from the beach and snorkel around the outcroppings of rock on each end of the beach. Don't snorkel with big waves. Ulua Beach is directly in front of our Wailea Elua condos. 4. Wailea Beach: Good snorkeling to the left side of this nice beach (again, don't go out if there are big waves). Located between the Grand Wailea and Four Seasons Hotel. 5. Five Graves/Five Caves: Not for beginners, the entry can be tricky. At this spot it's very important that it be a very calm day since the very narrow and long cove creates a surprisingly large wave surge. Just past the Makena Surf condos on the right after the Makena Place homes and vacant grassy lot. Park on the left side of the street and walk down, past the old graves, on the left to the water. This is the best shore entry spot to see turtles- "Turtle Town", where many of the snorkel boats take customers, is just offshore here. 5. Makena Landing: Located just past the Five Graves spot, after the 90-degree turn in the road. Go to the left of the bay for some good snorkeling. Enter in at the beach and swim to the right. 6. Ahihi Bay: Because of the protected marine preserve status of this area, there is often a great number of fish (and snorkelers), and nice coral in this area. 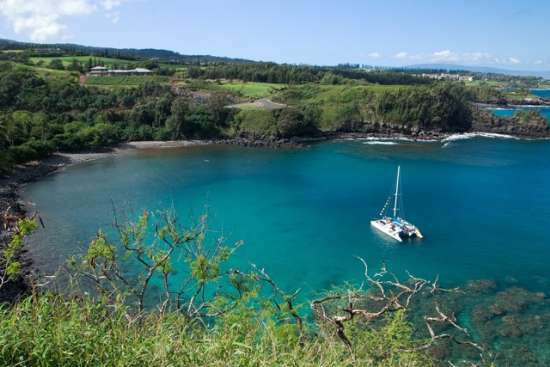 Just 2 miles past the Maui Prince Hotel, look for a large number of snorkelers visible from the road in this area which is a small bay to your right. 7. La Perouse Bay: Another marine preserve area. This area is not recommended for beginners due to the rocky shoreline. Just 2 miles past Ahihi Bay, after driving through the lava rock fields.